This photograph of the bride and groom was taken during a private moment alone during their wedding reception at The Sand Castle in Franklin Square, Nassau County, New York. The Sand Castle is an amazing venue with exquisite interior spaces and outdoor gardens that are perfect for extraordinary wedding photographs. Slipping away from the guests during the wedding reception we had the entire lobby area of the Sand Castle to ourselves to take this picture. I positioned myself on the balcony above the bride and groom and shot down towards them as my skilled photographic assistant illuminated them with an off camera LED lamp. As you look around this web site you will see other wedding pictures taken at this awesome venue. The excellence of the Sand Castle does not end with their decorating. The food is superb and the service excellent. If you are planning a Sand Castle wedding give me a call. 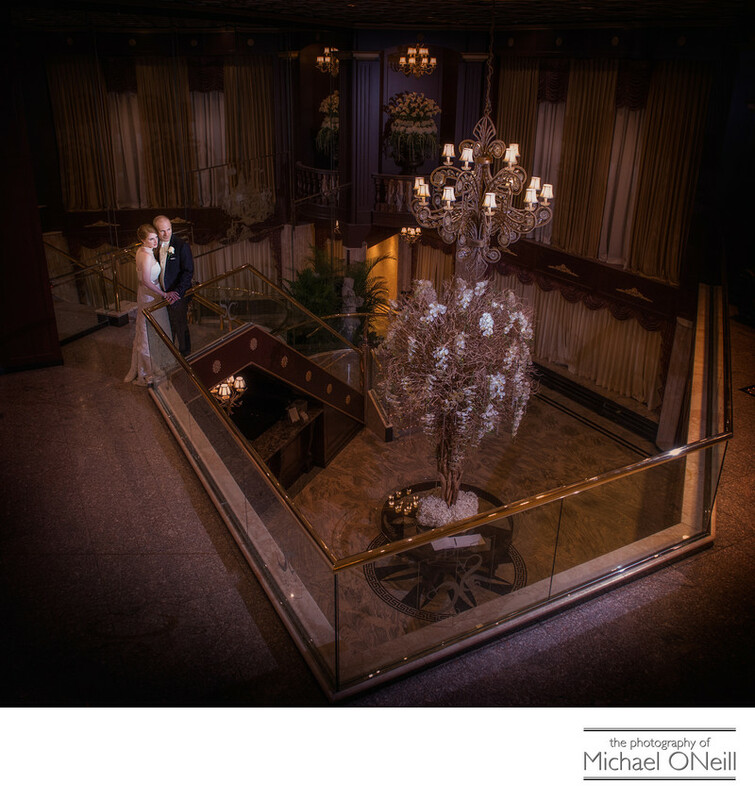 It has become one of my favorite venues in which to create exciting wedding photographs.